Definitely not fun--yet it's something that most PC users end up doing at least once. When your machine becomes so sluggish, flaky, malware-infested, or ill-behaved that no optimization utility can help, sometimes the only remedy is a full system-wipe and restore. If you're smart, however, you'll look upon this as an opportunity--not only to return your PC to its former out-of-the-box glory but also to make it better than it was before. I'm talking about implementing a bulletproof backup system to thwart future disasters, organizing your folders and desktop to keep clutter at bay, cutting performance-clogging security software to a bare minimum, and making sure that if you ever need to reformat and restore again, the process will go a lot easier. In other words, you've cleaned house. And now it's time to get that house in order. Windows installed, updated, and personalized to your liking? Check. Important apps loaded? Check. Drivers working? Check. Now step back and bask in the glow of your perfectly configured, smoothly running PC. Don't you wish you could capture this moment forever, and even preserve it for the future in case something goes awry? Use Macrium Reflect Free to make an image of your PC in pristine condition. 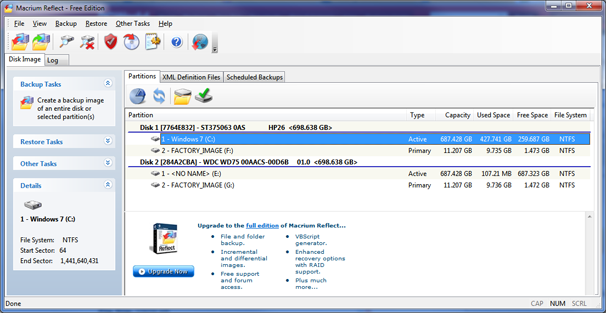 Countless drive-image utilities are out there, but I'm partial to Macrium Reflect Free. It's easy to use, and it can save your image file to an external drive, a network drive, or even CDs/DVDs. It'll also build a bootable rescue disc for restoring the image, just in case you're trying to resurrect a seriously compromised system. I recommend the Ubuntu version of Linux, though you can find countless others to choose from. To install Ubuntu alongside Windows, you'll need to download the OS, burn it to a CD, create a partition within Windows, and then boot the Ubuntu CD and follow the instructions. Ubuntu's own Windows dual-boot help page spells all of this out in much greater detail. No more excuses! Your data has survived this far, but you're computing on thin ice. A devastating malware attack or hard-drive failure might be just around the corner. 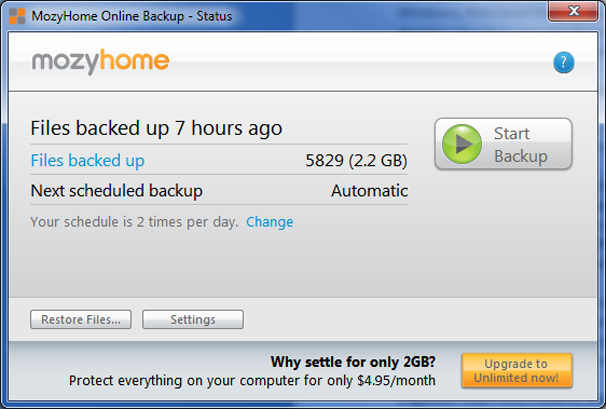 The time has come to start making backups on a regular basis, just as you always promised yourself you would. You can use Mozy to back up your important data. Second, enlist an online backup tool such as Carbonite or Mozy to save your most crucial data (Office documents, financial records, etc.) to the cloud. I'm partial to Mozy, which gives you 2GB of free backup space, a highly automated backup utility, and the option of making a local backup in addition to the cloud version. It's a great set-it-and-forget-it choice.